Updated house in the Village. 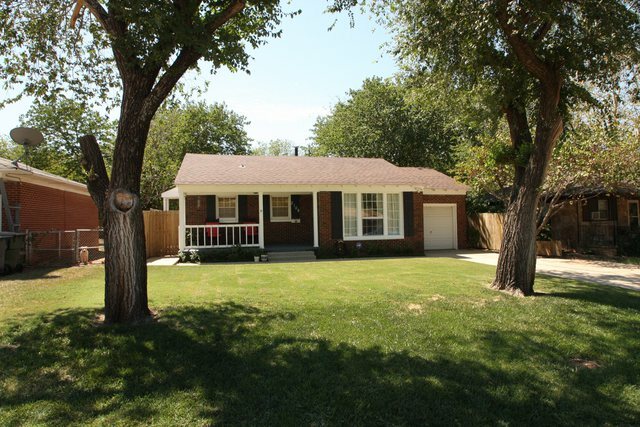 Great curb appeal w/ 2 mature trees, beautiful landscaped yard & large front porch. Gorgeous hardwood floors through out the house. Kitchen has lots of counter top & cabinet space great for storage. Inside utility room w/ great built-in cabinets in the hallway. All appliances stay!! Want to relax in a hot tub too?? Well walk out on your back porch & enjoy. Nice deck area in the fenced backyard w/ a storage building.